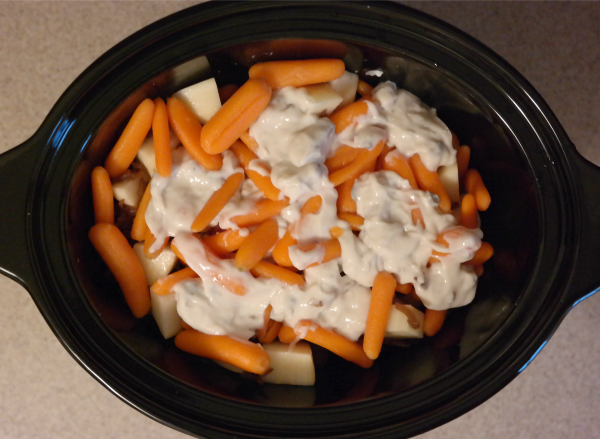 Rock your Crock: Crock Pot Pot Roast - C.R.A.F.T. 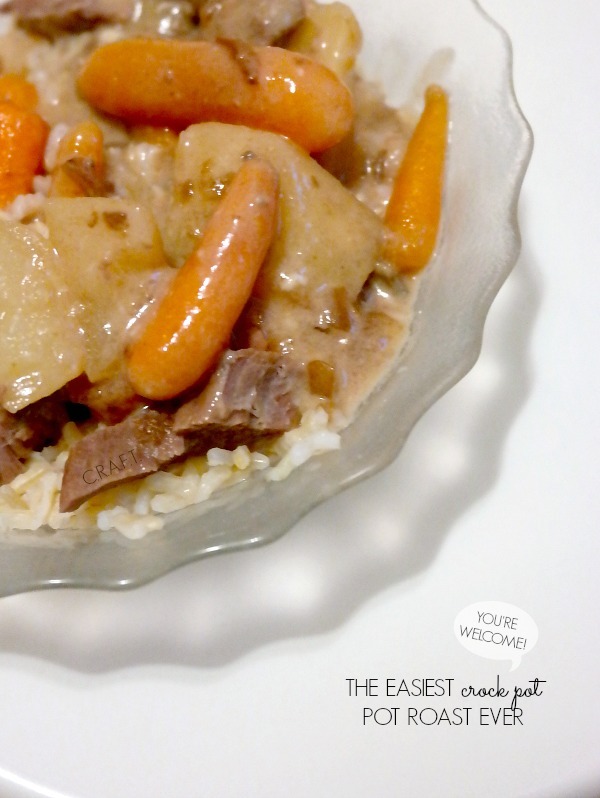 Me and the crock pot are back with another ridiculously easy (and delicious!) recipe. (Here’s chicken verde!) This is one of Max and Andy’s faves, Maxwell loves the carrots. I love making crock pot pot roast because it’s so dang easy and I feel so fancy when it’s done and the house smells amazing. 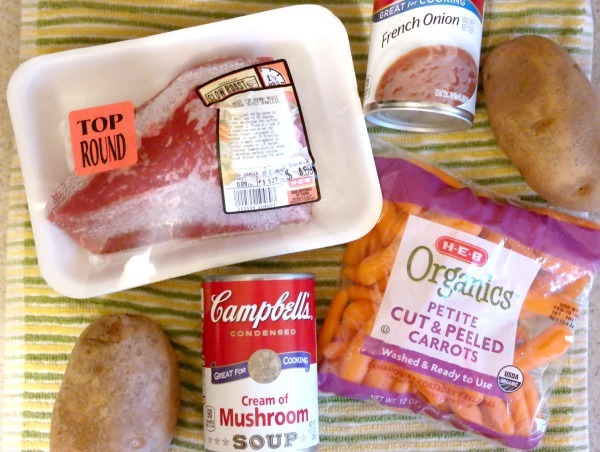 This is my mom’s pot roast recipe, but she always made it like a real chef in a big pan in the oven. 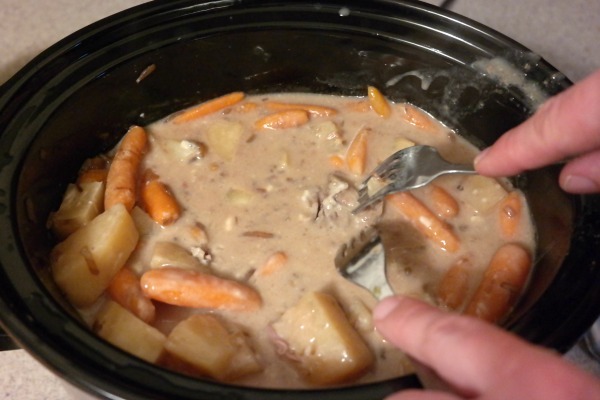 I’ve heard of people searing the pot roast on the stove before they stick it in the crock pot. I do none of that. That involves dirtying another pan, no thank you. Oh and another thing: Make sure that your pot roast is 100% defrosted before you put it in the crock pot. I thought it didn’t matter one time, and my roast was not nearly has tender as it usually is! Phew, the hard part is over. High five, friend! 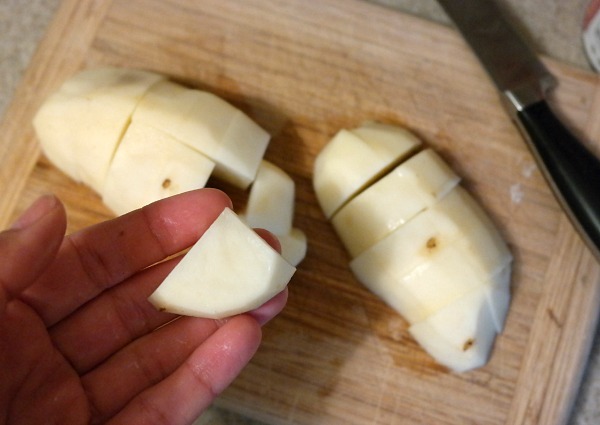 Now, add your potatoes around the pot roast and cover with the other 1/2 of the can of french onion soup. 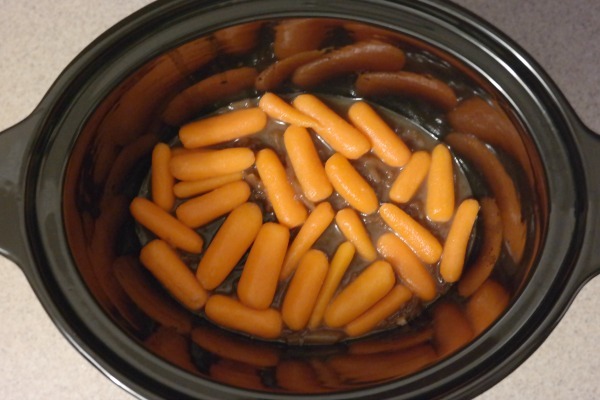 Then cover the top of the pot roast with as many carrots as you can. Then add the rest of the cream of mushroom soup! Put the lid on that bad boy, and set the crock for 6 hours on low. I sometimes use my rice cooker and make enough brown rice for 2 people for 2 days, and I sometimes just use the boil in a bag brown rice. One packet is the perfect serving for 2! It’s so yummy and so easy. You’re welcome. 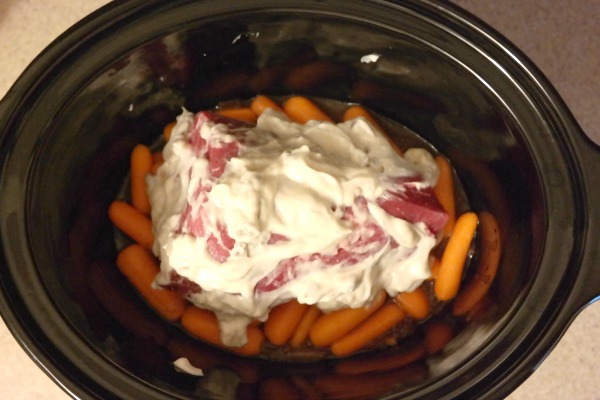 Awesome recipe for Crock Pot Pot Roast, thank you for sharing with us on #PureBlogLove this week, I hope you can make it again this Thursday night at 8pm est as we celebrate another week of blogging!